The Swiss army was slowly modernised as the war progressed. From 1915, the dark blue army uniform began to be replaced by field grey and steel helmets (similar to the uniform changes in the wartime French army for example). Troops from a machine gun detachment. 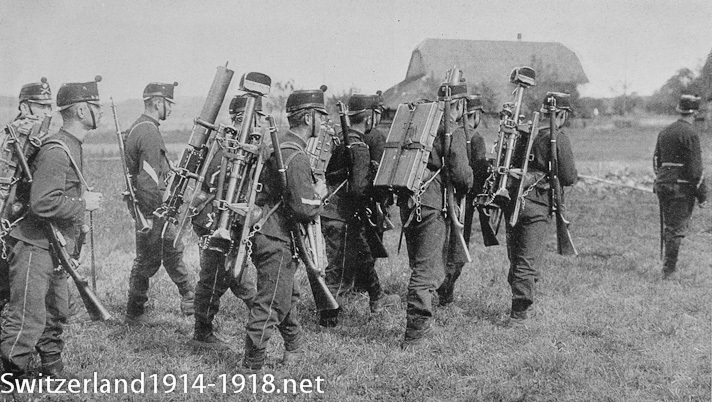 The gun, tripod and other equipment have been broken down into pieces that can be carried on the soldiers' backs, which would have been useful in mountains or other rough terrain. 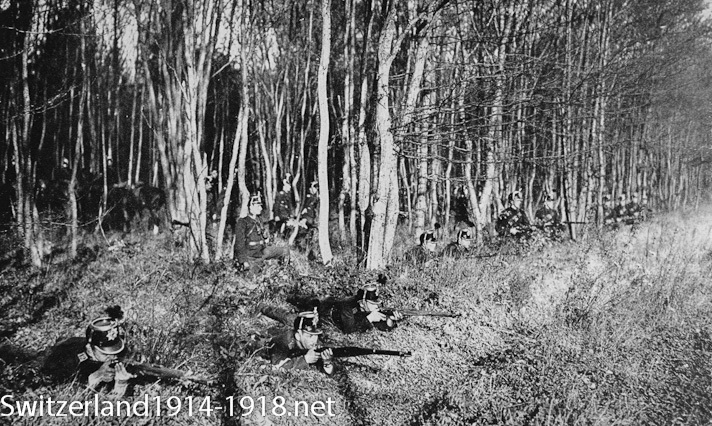 Dismounted cavalrymen form a firing line at the edge of a wood. Although cavalry may seem to have been obsolete in the age of the machine gun, as in all armies of this period they would have played an important part in mobile warfare. 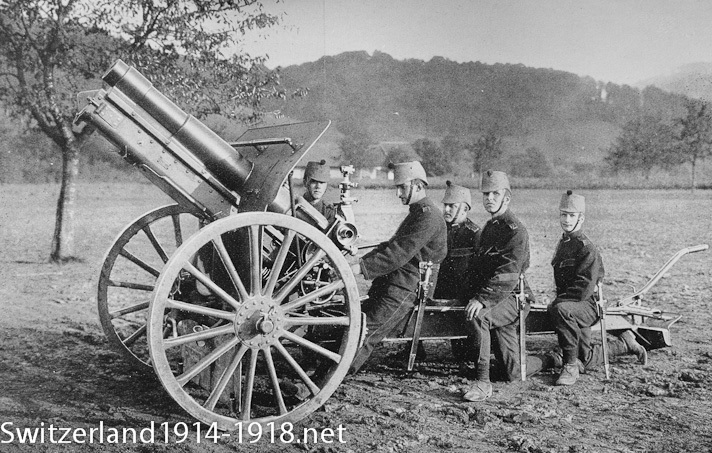 The Swiss army had some modern artillery even in 1914, as shown here, but not every unit had guns such as this howitzer. The crew wear the early-war uniform including a soft hat. 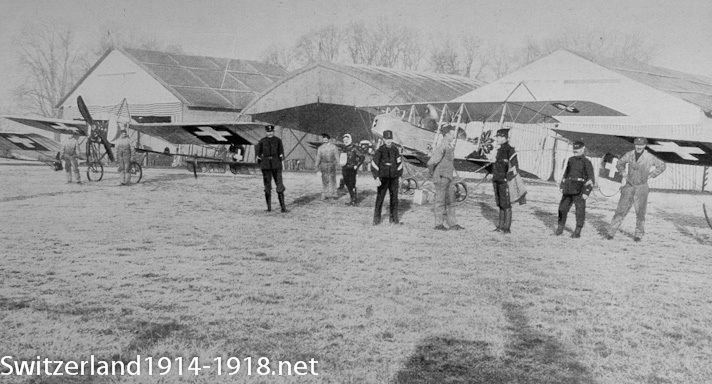 The Swiss army's air service increased in size during the war, partly because aircraft from both sides which landed in Switzerland were impounded! 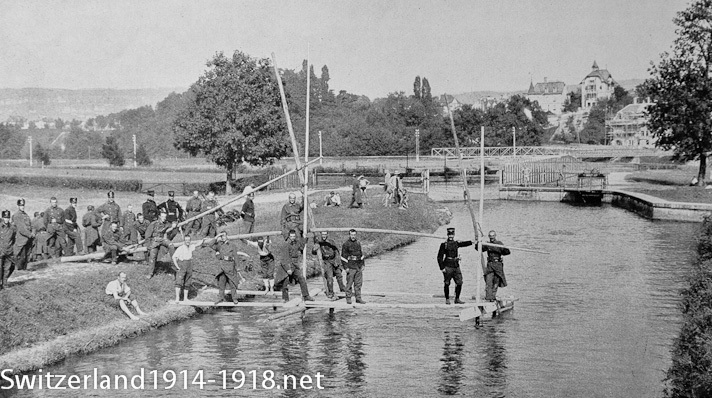 Swiss army engineers practise setting up an infantry bridge. 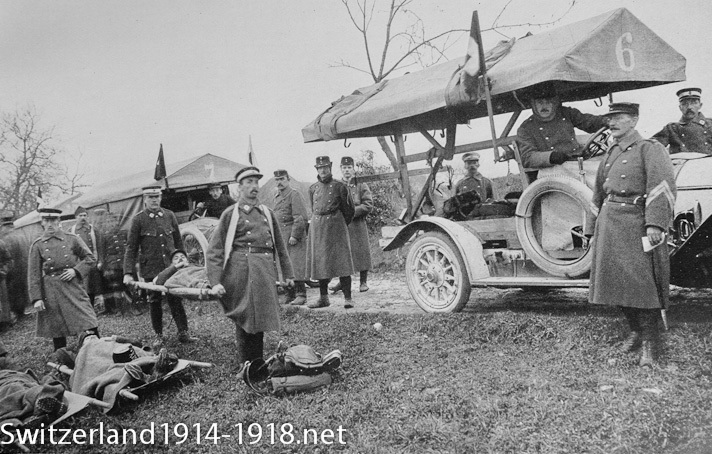 A detachment of motor vehicle-equipped ambulance troops. Click here to go to the next page on guarding the frontiers.